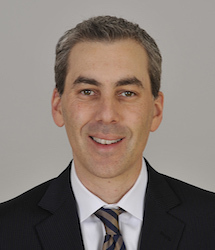 Kevin Demoff is in his ninth year as Chief Operating Officer & Executive Vice President of Football Operations with the Rams. In this capacity, Demoff serves as the team’s top front office executive and liaison to owner and chairman, Stan Kroenke, on all organizational matters. After serving on the working group that helped Kroenke return the Rams – Los Angeles’ original professional sports team – home to L.A., Demoff is now playing a significant role in delivering on Kroenke’s vision to design and construct the 298-acre sports and entertainment district in Inglewood that will serve as the future home of the Rams. The NFL-themed campus will include a 70,000 seat stadium, performance venue, retail district and office complex and is currently the largest entitled real-estate project in Southern California. Demoff also continues to lead the club on all business operations, including marketing, media, partnerships, finance, administration, communications, ticketing and community affairs. Additionally, Demoff works closely with General Manager Les Snead and Head Coach Sean McVay to develop the club’s strategic plan for player signings and acquisitions. Since the Rams returned home to Los Angeles in 2016 – the team’s 50th season in Los Angeles after calling the region home from 1946-1994 – the Rams are committed to being a key contributor to the betterment of the Los Angeles community. Immediately on the heels of the National Football League’s historic return to Los Angeles, Demoff and the Rams helped lead a regional effort to bring the Super Bowl to the new L.A. Stadium and Entertainment District at Hollywood Park. In addition to being the most-watched sporting event in the world, Super Bowl LVI, which will be played in 2022, will attract tens of thousands of people to the Los Angeles region and generate hundreds of millions of dollars for local hotels, restaurants, shops and other businesses. Demoff and the Rams have also joined forces with the LA24 Olympic Bid Committee, chaired by Casey Wasserman, to help deliver the 2028 Olympic and Paralympic Games to Los Angeles. Reinforcing the Rams’ commitment to the Los Angeles community, Demoff serves on the boards of the United Way of Greater Los Angeles, Los Angeles Sports and Entertainment Commission and Los Angeles Sports Council. In June of 2017, United Way of Greater Los Angeles named Demoff the chair of their annual campaign which helps United Way transform lives and communities by creating pathways out of poverty for the most vulnerable residents through education, housing and financial stability. Demoff is also part of the American Cancer Society’s CEOs Against Cancer, which is a partnership of the world’s leading CEOs and the American Cancer Society dedicated to eliminating unnecessary deaths and suffering from cancer. Since joining the Rams in 2009, Demoff has been responsible for re-organizing the club’s business efforts with a focus on delivering a better overall experience for Rams’ fans and increasing the club’s presence in the community. As part of his vision, Demoff spearheaded the organization’s efforts to become one of the strongest philanthropic partners in professional sports. That focus has led the team to receive numerous awards for their charitable efforts including being named the “2010 St. Louis Philanthropic Organization of the Year.” His tireless dedication to community engagement will continue to set the tone for the organization as they continue to become part of the fabric of the greater Los Angeles region. One of the hallmarks of the Rams’ community outreach efforts is the team’s Staff Day of Service program. Introduced by Demoff in 2009, each month the team’s front office staff takes time out of the office to volunteer with local non-profits. Since the project’s inception, the Rams’ staff has provided more than 13,000 hours of community service. In 2016 alone, the Rams contributed 1,200 hours of community service to 10 local non-profits and 19 schools across the Los Angeles region. The cornerstone volunteer effort of the Staff Day of Service program is the team’s annual community improvement project that includes staff, players and cheerleaders uniting to assist a local non-profit, school or community in need. For the first two community improvement projects in Los Angeles, the Rams funded and built new playgrounds for Woodworth Elementary School in Inglewood (2016) and Figueroa Street Elementary in Watts (2017). Under Demoff’s watch, the Rams have made significant strides to reach more fans through media. In 2016, the Rams established partnerships with local English and Spanish TV networks and radio stations to broadcast preseason games and other exclusive content. Demoff oversaw the creation of the award-winning Rams Broadcasting Network, which has grown to include weekly Rams television programs and numerous features across the Rams media platforms. Demoff was recognized by the Sports Business Journal as one of its “Forty under 40” class members of 2016. In 2010, the St. Louis Business Journal named Demoff as one of its “40 under 40” award winners, which recognizes individuals for their career achievements and community work. In 2010, he also was named one of the “NFL’s 10 Future Power Brokers” by Sports Illustrated. Prior to joining the Rams, Demoff spent the previous four seasons (2005-08) with the Tampa Bay Buccaneers, where he served as a consultant before being named Senior Assistant in 2006. In this capacity, Demoff assisted General Manager Bruce Allen in contract negotiations, salary cap management, strategic planning and both college and pro scouting. During his tenure with the Buccaneers, the team captured NFC South titles in 2005 and 2007 while posting a winning record in three of his four seasons. From 2001-04, Demoff served as Director of Football Operations for the Los Angeles Avengers of the Arena Football League. Demoff helped direct the team to its first-ever playoff berth and in his final three seasons with the club, the Avengers posted a record of 28-18, third-best in the Arena Football League, qualifying for the playoffs in each of those seasons. Born and raised in Los Angeles, Calif., Demoff received a bachelors’ degree in history from Dartmouth College in 1999 and a Masters in Business Administration from the Tuck School of Business at Dartmouth in 2006. Kevin and Jennifer have two children – a daughter, Claire and a son, Owen.